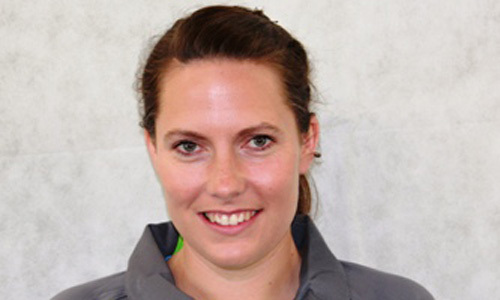 Michelle is one of Canberra highest qualified female coaches, with her B licence currently pending final assessment. Michelle has been involved with coaching at both club level and state representative level, for both boys and girls. Michelle was the U16 Premier League coach for the Canberra City Football Club in 2012, and in 2013 was involved in state squads through coaching the U11 Girls SAP Squad, and stepping in as the assistant coach for the U13 girls ACT State Squad. Capital Football extends its congratulations to Michelle on this major achievement. 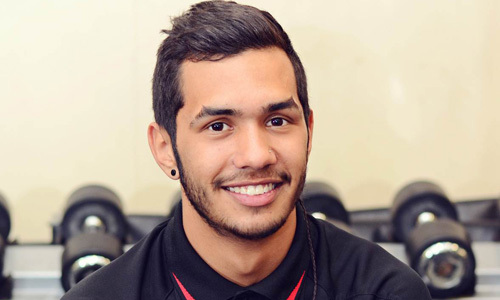 Erindale Student GEORGE HOUSE signs with "Melbourne Storm"
Congratulations to George House for signing with the Melbourne Storm. George will continue his schooling at Erindale College for 2014 but will fly between Canberra and Melbourne to play for the storm. 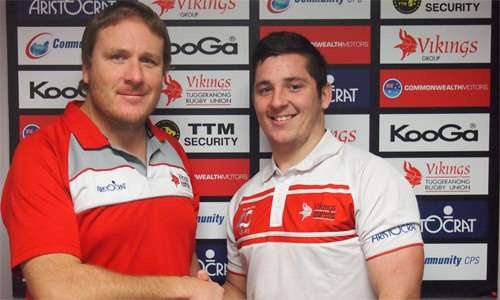 He wil...l begin playing in the SG Ball side with goals of playing u20's next season. Another goal for George is to make the Australian Schoolboys Rugby League side. A local talent of the Woden Rams, it is an awesome achievement for George, his family and the Rugby League program here at Erindale College. Congratulations to Connal McInerney on his efforts for the Australian Schoolboys team in Sydney last week vs New Zealand & Fiji Schoolboys teams! Connal has been selected in the Australian Schoolboys squad to tour the UK & Ireland later next month and we wish him all the best! 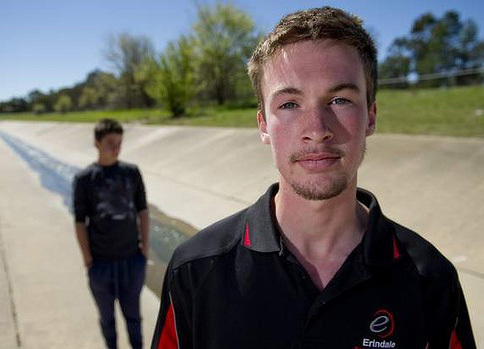 Erindale College student Shane Allen ''wasn't really thinking'' when he saw 13-year-old Jeysun Bilgin being swept through a stormwater drain in Isabella Plains two weeks ago; he just knew he had to act quickly. Jeysun, a year 8 student at Calwell High, had been riding his bike next to the drain by the Calwell shops when he slipped in. In a matter of what he thinks was about two or three minutes, he had been swept about two kilometres down the drain; under Johnson Drive, under Ashley Drive, and heading for Isabella Drive when Shane spotted him. ''[I thought] 'oh god, help him', there was no way around it - I just had to do something, I couldn't just sit there,'' the 18-year-old said of his actions. Advertisement He ditched his own bike and crawled down the steep cement slope, linking his arm through a ladder, reaching out for Jeysun with his other hand. After learning of his student's actions, Erindale College principal Michael Hall has nominated Shane for an Australian Bravery Award. But his potentially life-saving action almost went unacknowledged after he left the scene without a fuss once he knew Jeysun was unhurt. ''He had no idea who [his rescuer] was and I had no one to thank,'' Jeysun's mother, Nicole Rengers, said. She started the search for her son's ''guardian angel'' through social media, eventually discovering through the school's network that it was Shane, a former Calwell High student, who rescued her son. Three different disciplines with three different bicycles in three different countries: Caroline Buchanan's self-described ''logistical nightmare'' has ended, with the cyclist becoming only the second woman to win two world championships in the same year. Having claimed the BMX world title in New Zealand in July, Buchanan added the UCI Four Cross World Championships mantle in Austria on Sunday. Only 56 days separated her two crowns, and her fifth place in the world downhill mountain bike championships in South Africa earlier this month. The young Canberran sportswoman has won five world titles at just 22. The weekend's four-cross win was Buchanan's third, adding to back-to-back titles in 2009 and 2010. She also won the BMX time trial world championship last year. She said she was relieved her title quest was over. ''It's time to have a breather,'' Buchanan told The Canberra Times. She can afford to relax now and enjoy the rest of the year. After a brief visit to her parents and dogs, Buchanan is off to race in the Caribbean and then Mexico City. From now her focus will be BMX, with Olympic qualifiers for Rio de Janeiro starting in May next year. After her efforts at last year's Olympics in London, Buchanan wanted to test herself, which is why she went to three world championships. While proud of her achievement, Buchanan was a bit disappointed that she had not become the first person to win three rainbow jerseys in a year. Of her five world titles, she said the first was the sweetest. As a 17-year-old, she stormed to victory in the 2009 four cross titles in front of her home crowd at Stromlo Forest Park. 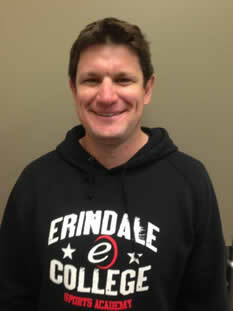 Matt Adams has been nominated for the NRL Development National Teacher of the Year. The ARLC Teacher of the Year will be presented to a Primary or Secondary School teacher who has demonstrated exceptional support of Rugby League through the provision of opportunities for students to be involved in practical RL activities within their school and district. Together with the selection criteria, it is an advantage that nominees will have sought to engage their students by integrating league related teaching material into their programs. To be eligible, the teachers must not receive an honorarium for their services. 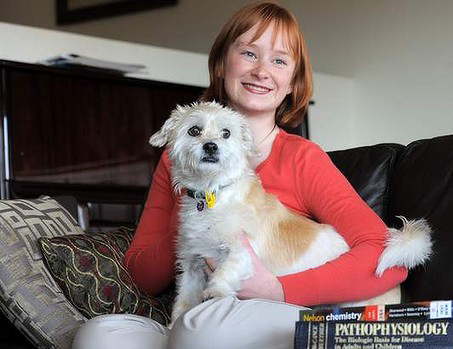 Star Canberra secondary school student Lucy Kirk has become the ACT's first Tuckwell scholar. The award for study at the Australian National University was established by Canberra-born multimillionaire global commodities trader Graham Tuckwell and his wife Louise in February of this year. The $50 million fund was the largest ever donation to an Australian university by an Australian citizen. Twenty-five successful students will receive $20,000 each year for the length of a single or double undergraduate degree, and will be offered ongoing academic and career mentoring. Ms Kirk, who is in her final year at Erindale College, said she was ''so excited'' when Mr Tuckwell called her to tell her she would receive the award. She said the selection process had involved lengthy questionnaires and a weekend spent at the ANU, where candidates were interviewed by nine panel members, including Nobel Prize-winning astrophysicist Professor Brian Schmidt, the Tuckwells, and ANU deputy vice-chancellor Marnie Hughes-Warrington. ''I was pretty nervous, well we all were, but I was pretty excited as well to meet and talk with such highly esteemed people,'' Ms Kirk said. Ms Kirk is studying mathematics, advanced English, chemistry, and philosophy and ethics this year, and hopes to study medical science at the ANU, then medicine. The keen road cyclist said she was an active member of the ACT cycling community and her local church. She has dreams of a career in rural and population health. Ms Kirk was looking forward to living on campus, where she planned to get involved with the ANU cycling club and student Christian association. She said the scholarship would give her the opportunity to focus on her studies and remain involved in the community. Journalist at The Canberra Times.